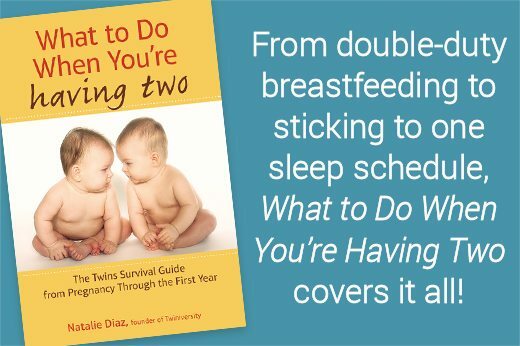 Every new mother and father of twins will go through the first year in a bit of a blur. At about 18 months in, you will look back and try to recall certain things that you just know you should remember but you simply won’t be able to. Oh, the memory is there, but it’s wrapped in a fog of sleep deprivation and aching headaches. Not to worry: this is normal. The first weeks of having my twins home I was petrified, absolutely terrified that I was going to do something wrong. They were so tiny, you see, fresh from the NICU at a whopping four pounds. Let’s just say that my dear hubby was no more confident than I was. We fumbled around each other and those tiny babies and tried so hard to stay on schedule. It was like watching the Titanic sink. There would be times I would look at my hubby and think, “Help! I’m drowning!” only to see the exact look on his face. As weeks passed and we blearily waded through loads of laundry and bottles, we eventually got on a schedule. By six months were felt like we might actually survive. Feeding times were matched, sleeping was matched. Mama and Daddy were king and queen of our universe. And then… teething. Teething is every parent’s worst nightmare. It breaks your heart into a million pieces night after night because there is NOTHING you can do to ease that pain. All the teething gel in the world isn’t going to stop that tooth from actually coming through the gum. You rock, you sway, you shhh, you sing, you pray, you cry, and you start all over the next bout. Multiply that by two and you have a nervous breakdown in the making. I felt like an utter failure. How could I possibly endure years of this? 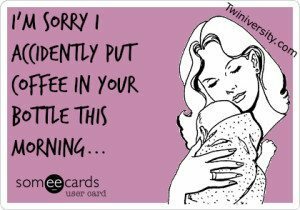 Up all night with two fussy babies (my two normally teethe together) and then having to function for the rest of the family in the morning? I heaped piles and mounds of guilt upon myself. Other mothers made it through just fine. Why was I having such a hard time? I was irrational. My babies hated me. I cried in the middle of the night as I rocked back and forth and I begged my babies to just be quiet and let Mommy love them through it. I felt resentment towards my hubby, and I cut some pretty hateful looks his way as he blissfully slept through my worst nightmare. I called my mother for advice, blubbering in tears because I was the worst mama ever, even though she assured me I was not. I listened to my sister and best friend explain that this was all natural and it only felt amplified because there were two to contend with. I hated myself. Bitterly. I would watch those babies playing so happily in the daylight hours and think, why? Why do they have to teethe at night, when I need sleep? Is God punishing me? Go ahead and laugh. You’ll think it too! And through all of this misery I always had to step back and let my mind focus. I had to clear the sleep-deprived fog and really just look around me. My house was messy but not filthy. My children were clean and fed and hubby had clean uniforms (for the most part). I may look in the mirror and NOT see the runway model I hoped to, but my hair was brushed. At night my babies were terrors but during the day they were angels. They laughed and giggled and I realized, I was okay. I was doing alright. Was I the perfect twin mom? Probably not. But I was giving it everything I had and in the end, that is all you can do. 1.) Don’t be upset with yourself for being cranky. It’s your body’s natural response to lack of sleep. If you snap at a love one, apologize later when you are feeling more amiable and move on. They will understand. 2.) Don’t be upset with yourself for feeling resentful towards your other half. It’s going to happen more than once. Right now you are tired and irritated and that’s okay. At some point, they will be too, and you will forgive them. 3.) Don’t load up on coffee. Sounds like a really good idea when you’re trying to keep your eyes open for more than two seconds, but later it’s going to wreak havoc on your system. Keep it to a few cups if you must have it but resist the urge to hook up an IV line. 4.) Don’t give in to temptation to do any housework or catch up on any of your favorite shows while the babies nap. Nap with them. I firmly advocate for napping with the babies. 4:00 am comes mighty early and you’re going to need that recharging. 5.) Accept help. Right now you are convinced you can do this on your own. You can’t. Accept this now and things will be much easier on you. When someone offers to come watch the babies for you so you can catch a few zzz’s, take the offer with both hands (even if your not half sure they were actually serious) and run with it like you are qualifying for the Olympics. 6.) Get connected with other twin moms. Yes, you may have friends that are singleton mamas, but they can’t possibly understand what you are going through. 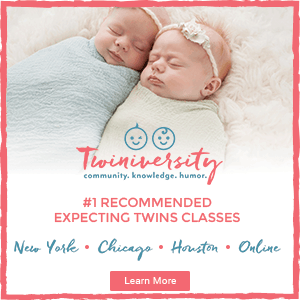 They are going to offer sage words of advice and wisdom and all you are going to be able to do is desperately try not to hit them between the eyes with two dirty diapers. 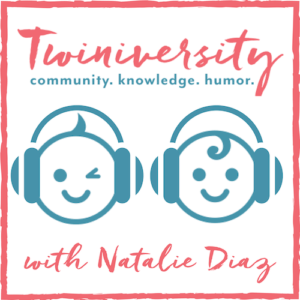 Save those friendships and hop on board a Facebook group or message board with other multiple mommies (I love Twiniversity!). 7.) Treasure those moments at 4:00 am. Yes… you read right. Treasure them. Why you ask? Because in the blink of an eye that fussy baby is going to be a senior in high school and you are going to wish you had just a moment of one on one time with them. Sounds crazy, I know, but trust me. It has saved my sanity more nights than I can possibly count. 8.) Talk to your other half. Earlier I mentioned that resentment thing, and if you don’t eventually talk about it with them it’s going to fester and blow up to chaotic proportions. Your other half is your teammate. You should be rooting them on and vice versa, not plotting ways to carry out retribution for them having the gall to sleep through last night’s fussy tantrum. 9.) Don’t forget about your other children (should you have any). Sleep deprivation tends to make you think only of sleep. Your every waking thought is about how unbelievably great it would be for just 5 minutes of sleep. But you have a life. Other people are involved in that life. They need you to at least try to function for them. However, they will forgive you if you space out on them from time to time, so cut yourself a little slack. 10.) Pray. I am not a holy roller. I don’t throw my bible at people and preach fire and brimstone. But I pray. I pray at night when the babies are fussy. I pray over a sinkful of dishes that never seems to end. I pray in the shower for just a little more patience. I pray in the morning as one twin is bright eyed and ready to play and the other has kept me up all night. I pray. I highly recommend it. 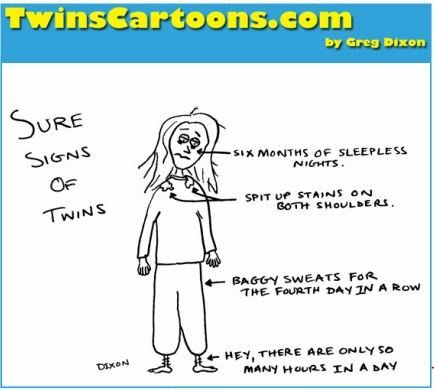 So you know you are not alone in your sleep deprived state, also read Sleep Deprived Moments of Parents of Multiples for some funny things parents have done while being exhausted!